PIPERS "Policy into Practice: EURAXESS Researcher Skills for Career Development"
PIPERS began in December 2014 and will finish in October 2016. FECYT contributed to he oganization of trainings in Madrid in support of Euroepan reseracher professional development and analizing the professional development of European Policies for Researchers (continue reading about the results of the project for further details). Research in the 21st century has changed considerably and has boosted the need for researchers to be educated on a number of subjects beyond traditional science knowledge. Transversal skills (leadership, raising funds, equipment and project management, communication, efficiency of staff, etc.) are fundamental to ensure top-quality research, sector movement among researchers and increased employability. Experts agree that Europe does not have a research career development strategy that ensures that its researchers continue to develop knowledge, skills and abilities. PIPERS’ aim was to explore how EURAXESS could evolve to begin offering researchers professional development services (training workshops, professional guidance, mentoring, and others). One of the project’s most significant results has been the Career Orientation Tool, available online on the EURAXESS webisite: https://euraxess.ec.europa.eu/career-development/researchers. 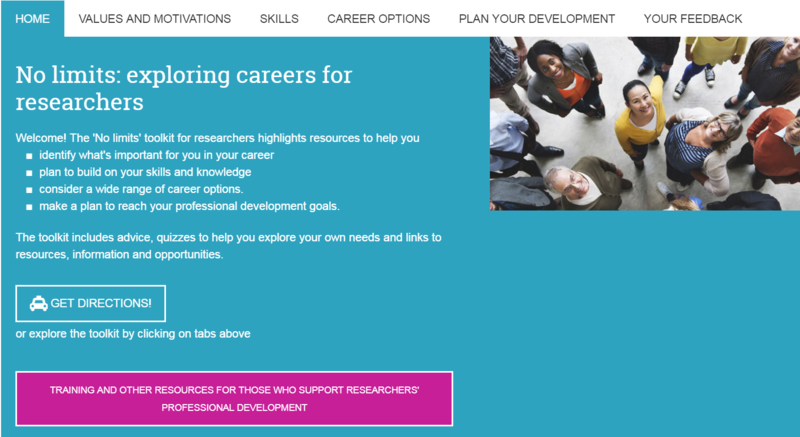 This tool is usable by individual researchers and can be found on the EURAXESS website.The tool also offers a number of online training resources for researchers on various transversal skills and abilities. We organised two professional development workshops: one for researchers, in which we trained them in entrepreneurship, knowledge transfer and exploitation of information, including intellectual property rights. The other workshop was for management staff and aimed at offering tools that enable the training initiatives for research staff to be replicated. For the last two years FECYT has analysed the current state if researcher professional development policies across Europe and beyond, including some frameworks and methodologies that can be used for impact measurement. In addition, FECYT has facilitated the dialogue between the different stakeholders involved to agree on a number of recommendations aimed at enhancing researcher professional development strategies in Europe. All this work has been especially focused on the initiative EURAXESS as a key figure to establish a coordinated strategy at European level. The main results of our work are available at FECYT web and our section "Researchers Career Development in Spain".